Environments is the best area of interaction that relates to my project. Before the summer of 2012, Pender Island was strange to me. Learning the unique parts of the environment, through the hikes and trails, helped me learn about the island. I had to learn about the environment, and throught this project, I am sharing my knowledge of the environment. I was able to gain my own knowledge of common trees seen on the hikes such as: arbutus trees, fir trees, cedar trees, and balsam fir trees. I was even able to locate fossils that are from over 100,000 years ago. These fossils have been studied at the University of Victoria. Some of the hikes had signs about the different and unique plants, which helped improve my knowledge. I was also able to learn and recognize birds, such as: ravens, bald eagles, and blue herons. Once I became more educated on the plants and wildlife, I was able to recognize them on my hikes. This project has allowed me to really appreciate the nature and my surroundings on Pender Island. I learned how to manage my time well, and stay productive. I wasn't able to physically start my project until the summer started, because I wasn't working over on Pender Island until July. Before I could begin my hikes, I planned the order I would do the hikes, sought out different opinons, and found different routes. After completing all the hikes, I dedicated an hour at least each night to working on this website. As I plan to continue to update, and improve my website it is hard to tell when my website would be ready for presentation. I was also able to learn about Pender Island. I now know all the little 'nooks and crannys' of the island. Hiking not only expanded my knowledge of the different trails, but the different parts of the island. I know how to give directions and which places to recommend. I learned how to make a website. I had tried various different sites before deciding which was best to use. I then did some research on what would be most visually appealing. I found the most challenging part about creating a website was figuring out the technical parts, such as creating: drop-down menus, and adding links. I used Webs which, in my opinion, was the easiest website-creating site. If I were to do this project again I would make sure I could pursue the project in the right time span. I had originally decided to join the OBSR, although because of my summer job I wasn't able to complete the project within the timeline. I have successfully joined the OBSR, and I am still pursuing that 'project'. I then decided to hike Pender Island. I feel I managed my time well, and completed each hike successfully. The only thing I wish I could have done, is complete some of the more challanging hikes more than once. On some of the hikes there are more than one route, or small side paths I would have liked to enjoy. I wasn't able to because of the timeline of this project, and the accessibilty. As I continue to update and improve this website, I will be able to add further information. I am happy with the finished product of my project. I have successfully completed all the hikes on Pender Island, and have created a website. This project has improved my knowledge of the environment, not only on Pender Island, but in general. I have learned how to recognize several birds, such Ravens, Hawks, Bald Eagles, and Herons, by not only looks but calls as well. I did not intend to gain that knowledge, although because of the commonality I was able to learn quickly. I also gained knowledge of the different local plants, such as the Idaho Fescue and satin-flower. How has completing the project extended knowledge on topic/area of interaction? Completing my project has improved my knowledge of Pender Island, hiking, creating websites, and the environment. I now know all the roads on the island, allowing me to give good directions. I also now know every trail, viewpoint, ocean access, and hike. I know which ones to recommend, and how to describe them well. I know several techniques of hiking depending on the incline, weather, and terrain. I know that with a steeper or uneven hike, a water bottle is necessary as well as strong shoes or hiking boots. On a muddy surface, it is easy to slip, so wearing hiking boots is almost necessary. How have I developed as a learner through this project? I have developed into a very organized and time conscious learner. I am disciplined with my work, for example, I set aside an hour each day to work on my website. I was organized with my process journal, and the order in which I completed the website. I was always very conscious of the time frame of the project, and stayed on track with the dates. I bring that aspect of organization and time management to all my school work, and learning opportunities. Application of information to make decisions, create solutions, and develop understanding in connection with the goal? With my information from completing all the hikes, I was able to make decisions and create solutions in connection with my goal: to create a website. I made a decision to create a website, after I compared the pros and cons of making a book to making a website. I created solutions to problems I had with the website by doing research. Completing all the hikes has given me a tremendous sense of accomplishment. I found unique trails that did not exist on the hiking maps. I found plants and trees individual to Pender Island. Trails such as: Miranda Road and Ellena Road were not on the hiking map of Pender Island. I have added in these unmarked trails under 'walks'. Personally, I found that I enjoyed the sense of adventure that comes with boating to these hikes. I found that I was more efficient in completing the hikes when I was alone. Even though I was faster when I was alone, the hikes were more enjoyable when I had someone to 'share the view' with. I organized my project well, and spent my time wisely. I had a plan and order of the hikes. Every opportunity I had in the summer I completed a hike. Another strength in my project was my enthusiasm; because I was enjoying the hikes, and learning about the island I was able to portray my excitement through my writing. I think my photos have really added to the quality of my website. Every photo on my website I took myself, and I think that adds a personal touch to the website. I completed the majority of the hikes with company, which allowed me to see other people’s opinions of the hikes. I think this has improved my website, so the ratings for the hikes are not entirely my opinion. Having to change projects really slowed down my overall project. I am still glad that I changed projects (as I could not complete joining the OBSR in the right timeframe) because pursuing the hikes on Pender Island has really made me appreciate the island. However, changing projects did stop my momentum, and make me late on a couple of the initial due dates. The reason I chose to hike Pender Island is because there is limited sources on the trails and hikes. It was difficult to find published sources of information; most of my research was done "on the ground". I drove all the roads and walked all the beaches to look for trails. I was fortunate enough to gain personal knowledge from some of the locals. Dandeneau, Dave. Personal interview. 12 Aug. 2012. Sarakanas, Peter. Personal interview. 2 Aug. 2012. Fox, Richard. The Pender Islands Handbook. Victoria, B.C. : R. Fox, 2006. Print. Enforcement, law. "Pender Islands Parks and Recreation Overview." Capital Regional District. N.p., n.d. Web. 4 Nov. 2012. <http://www.crd.bc.ca/penderparks/>. Enforcement, law. "Islands Trust - Homepage." Islands Trust - Homepage. N.p., n.d. Web. 4 Nov. 2012. <http://www.islandstrust.bc.ca/>. "Hiking - Wikipedia, the free encyclopedia." Wikipedia, the free encyclopedia. N.p., n.d. Web. 4 Nov. 2012. <http://en.wikipedia.org/wiki/Hiking>. "Parks, Trails * Beaches on Pender Island BC, Gulf Islands, Canada.." Gulf Islands Travel Guide. N.p., n.d. Web. 4 Nov. 2012. <http://www.gulfislandseh.com/pender/freestuff.htm>. "Pender Island Tourism - Gulf Islands BC." Pender Island Tourism - Gulf Islands BC. N.p., n.d. Web. 4 Nov. 2012. <http://www.penderislandchamber.com/>. My first goal was to work as a member of the Junior Oak Bay Coast Guard (OBSR). My project changed on 05/19/12 to hiking Pender Island because joining the OBSR wasn't possible with my summer job. My goal was to complete all the hikes on Pender Island and then to create a guide book. There would be information on the location, time, difficulty, pictures of the hike, animals and plants seen, and other notes. After completing the hikes and re-evaluating I realized a website could be more useful than a guide book. A website would be more accessible, and easier to change and update. My final goal was to complete a website, containing the same information the guide book would have contained. 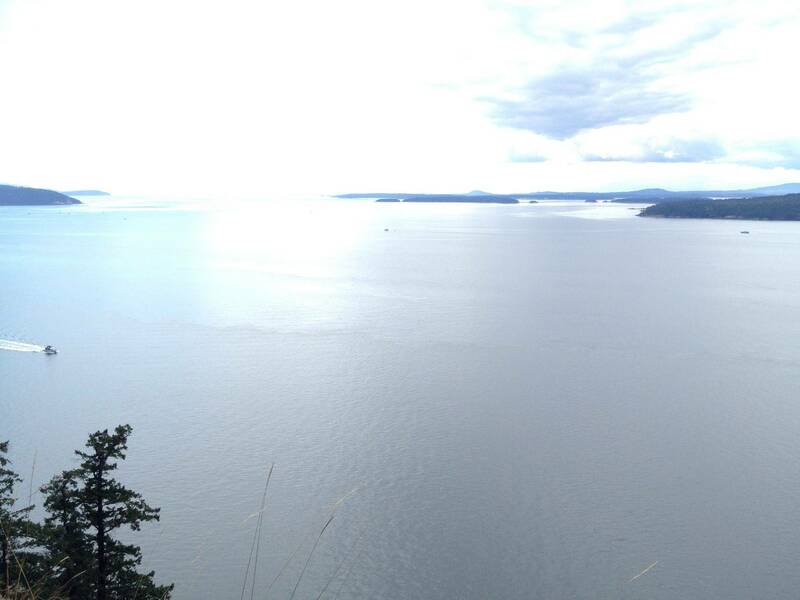 I chose to hike Pender Island to increase my knowledge of the Island, it was convenient, and I love to explore. I am planning to work on Pender Island for at least the rest of my high school years, so becoming knowledgable about the island is important to me. I knew whatever project I was going to do had to be on Pender Island, because of my summer job. Overall, this project is a combination of what was possible, and my favorite activities. 1) I decided to complete all the hikes on Pender Island. 2) Planned out the order of the hikes. 3) I completed the hikes accessible by water first, as initially I only had a boat on the island. 4) I recorded each hike in my Process Journal and saved the photos on my computer. 5) A couple of weeks later we brought a car over to the island, and I completed the rest of the hikes. 6) I started to build my website.